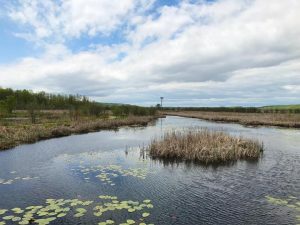 Open year round, Wye Marsh is an excellent place to get outdoors and get close to nature. Situated on 3,000 acres of National and Provincial Wildlife Area, the centre is teaming with fantastic wildlife viewing opportunities. 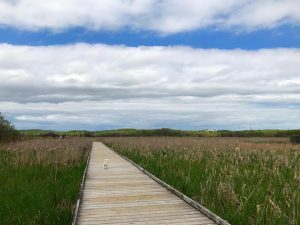 From trumpeter swans to painted turtles there is always something to see from the 25 km of trails and boardwalks. We also offer naturalist guided tours and programs that will take you into the marsh. We offer guided canoe/kayak tours, walks with a naturalist and equipment rentals (bike, ski and snowshoe) to further explore the marsh. Our interpretive centre has live reptiles and amphibians and birds of prey demonstrations. Throughout the year we run special events, workshops and speaker presentations. Escape, explore and experience nature at it's best with Wye Marsh.